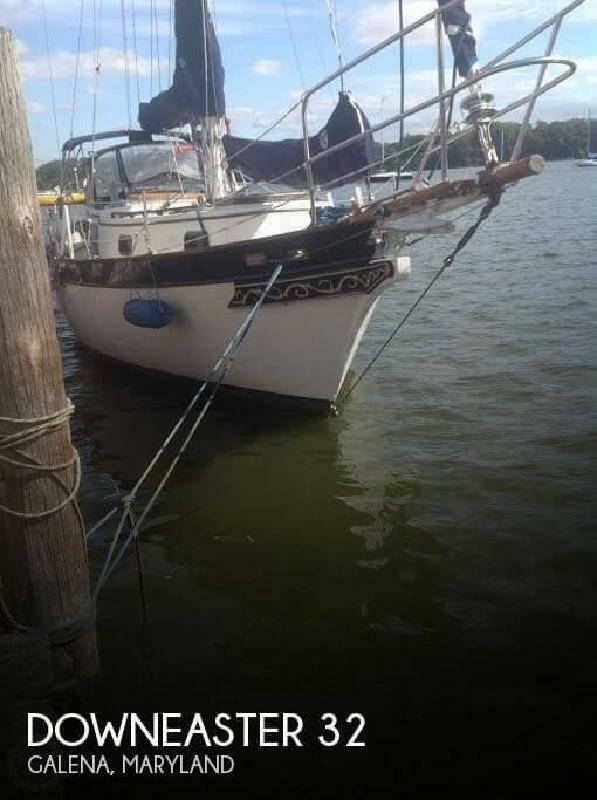 - Stock #091782 - If you are in the market for a sloop sailboat, look no further than this 1978 Downeaster 32, just reduced to $22,240 (offers encouraged).This vessel is located in Galena, Maryland and is in good condition. She is also equipped with a Yanmar engine that has 1,200 hours.Please submit any and ALL offers - your offer may be accepted! Submit your offer today!Reason for selling is retiring to florida.At POP Yachts, we will always provide you with a TRUE representation of every vessel we market. We encourage all buyers to schedule a survey for an independent analysis. Any offer to purchase is ALWAYS subject to satisfactory survey results.Take a look at ALL ***123 PICTURES*** of this vessel on our main website at POPYACHTS DOT COM. We appreciate that you took your time to look at our advertisement and we look forward to speaking with you! This 1978 Downes tern 32 is in very good shape considering it's age. Still sailing the Chesapeake, it is a turn key boat. With a little TLC and some updating would be a great Blue water sail boat. The boat is under going some repairs to the floor and ceilings of the main cabin. Starting right up and sounding great this boats 12 year old Yanmar diesel engine will give you years of service. Draft: 4 ft. 8 in. Beam: 11 ft. 0 in.